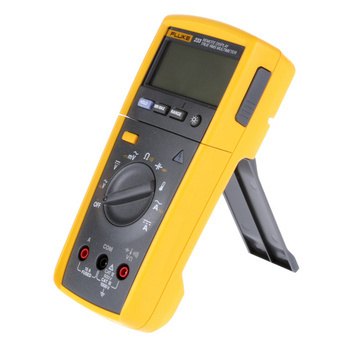 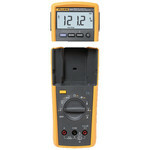 Fluke 233 remote display digital multimeter allows you to be in two places at once. 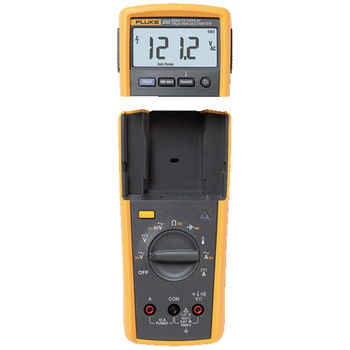 The removable display solves the problems of holding both the meter and the test leads to make a measurement, making measurements in hard-to-reach places, and making measurements in machines or panels that are physically separated from a limit switch or an isolator switch. 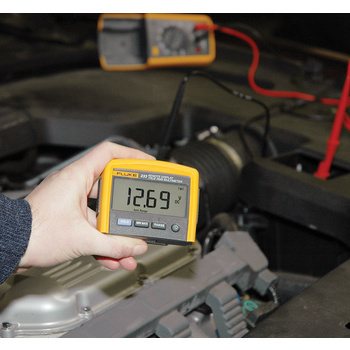 Wireless technology allows the display to be carried up to 10 meters away from the point of measurement. 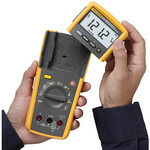 The Fluke 233 is also designed to work in areas where the operator can’t be close to the active measurement point, like clean rooms or hazardous areas.